Audrey Hepburn. 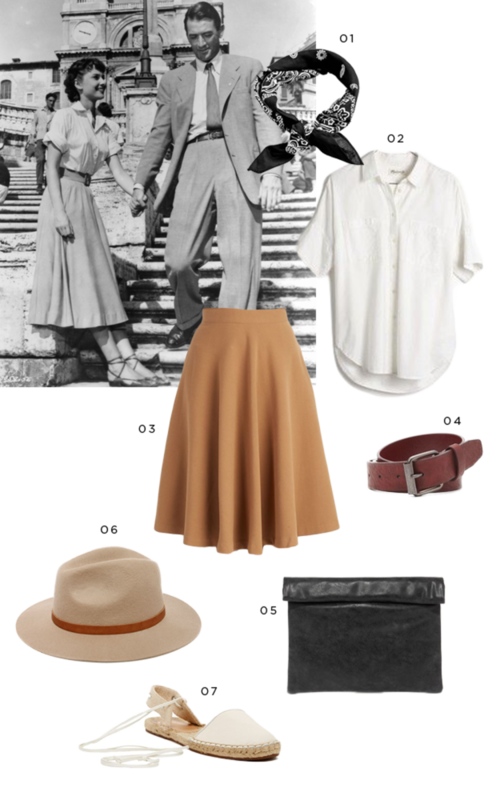 It’s difficult to understate the impact that Hepburn’s style had upon billions of women all over the world. 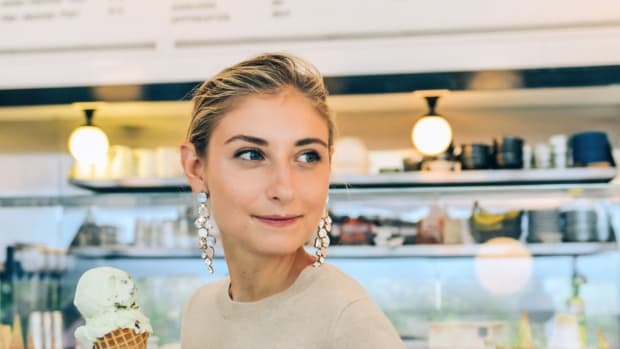 Every woman who pairs a little black dress with a pearl necklace, feels chic in cropped black pants and black ballet flats, or chooses to embrace a fuller brow has a little bit of Audrey in her. 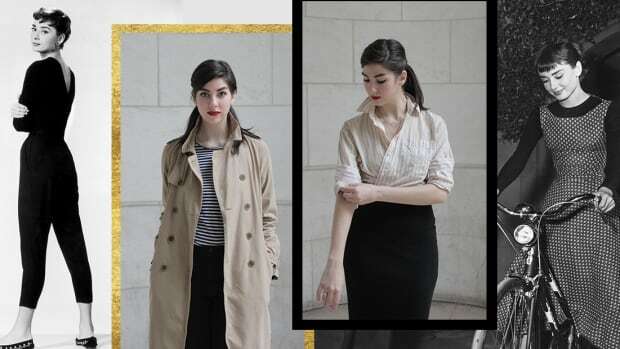 We’ve collected some of our favorite Audrey moments and replicated her looks with a modern-day interpretation. Embrace the elegance of a bygone era with these timeless silhouettes. 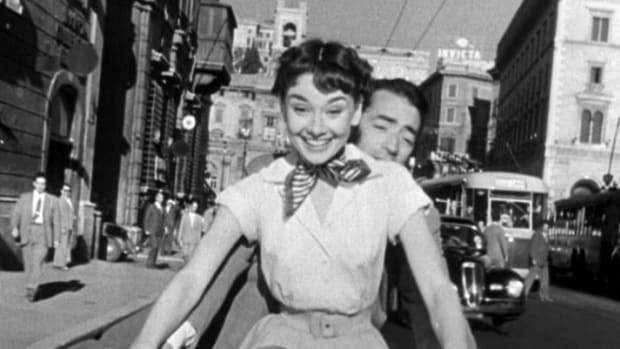 Audrey won an Academy Award in 1954 for her leading role in Roman Holiday. In this photo, she descends the staircase in her trademark silhouette of a high neckline, a cinched waist, and a full skirt. Audrey is most famously photographed wearing white and black, but we like to add a little nod to color and fun with quirky accessories. And of course, don’t forget the actress’s bold orangey-red lip and cat eye. Fill in your brows to complete the true Audrey look. 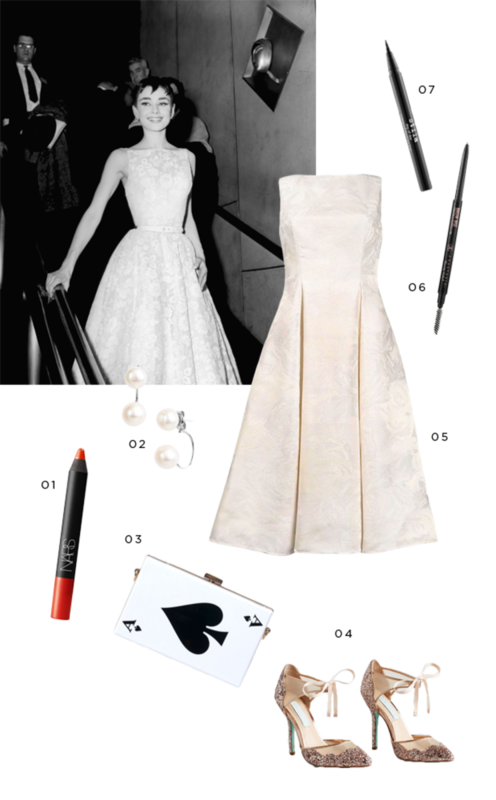 Even Taylor Swift was inspired by this Audrey look, as seen in her “Shake It Off” music video. Ballet elements can be found in many of Audrey’s trademark outfits, making for a figure-flattering silhouette of long lines and sleek shapes. Keeping with the monochrome theme, try white accessories with touches of gold. 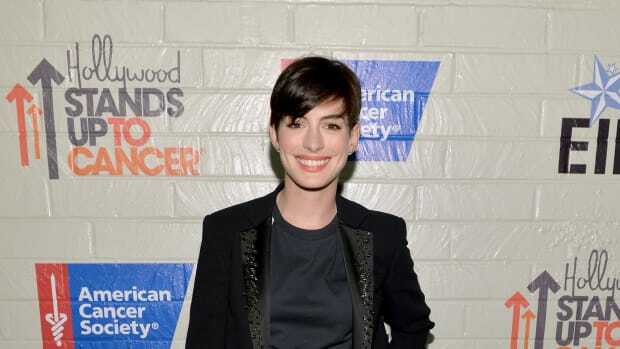 If you don’t have short hair like Audrey’s, try pinning it back on the sides to achieve a vintage hairstyle. No tourist fashion faux pas here. 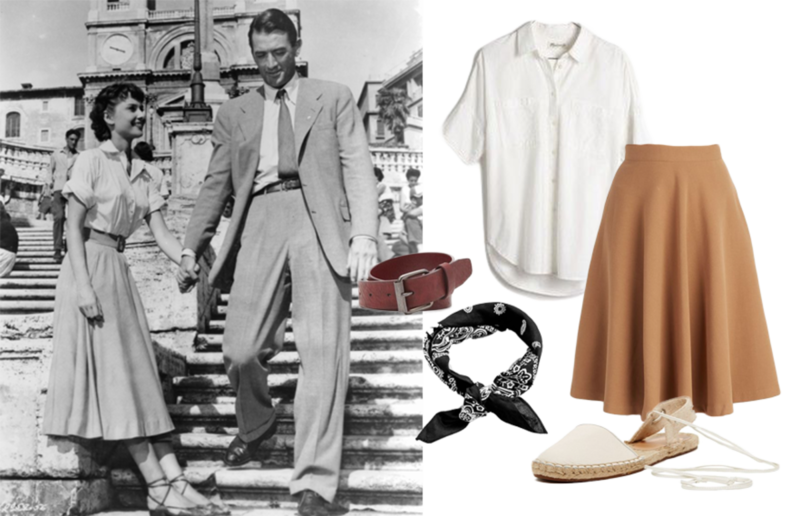 In Roman Holiday, Audrey is Italian-chic in her warm-brown skirt and stylish rolled sleeves. Her style has proven to truly be timeless—we spot this summer’s espadrilles and midi skirts here. 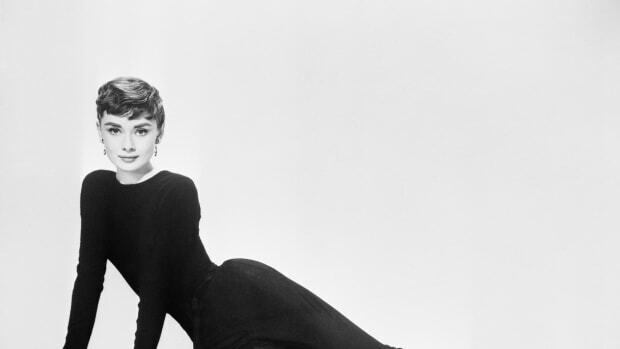 Audrey played the rags-to-riches girl Sabrina in 1954, and we’d totally snag this look today (although maybe not while washing cars like she did). Go summery with pastels while keeping the classic Audrey silhouette and ballet flats. Fasten a ribbon on your ponytail to finish off your Sabrina-inspired look.